A group of Israeli journalists stand every chance to have their trip to the Netherlands canceled. The Dutch foreign ministry didn’t appreciate the last letter the group sent them, which basically was an affront to the receiver. The culprit for this diplomatic scandal is Babelfish. "Helloh bud, Enclosed five of the questions in honor of the foreign minister: The mother your visit in Israel is a sleep to the favor or to the bed your mind on the conflict are Israeli Palestinian, and on relational Israel Holland." "Why we did not heard on mutual visits of main the states of Israel and Holland, this is in the country of this?" followed by "What in your opinion needs to do opposite the awful the Iranian of Israel?". Needless to say, these were the only questions that actually made sense. The rest of the email consisted in random words with no logic to bind them. It seems that Babelfish has made a habit of confusing the "if" (ha’im) for the Hebrew word for "mother" (ha’ima). Also, the translation turned "the Dome of the Rock" into "bandages of the knitted domes". However funny this mishap may seem, the matter appears to be quite serious. According to the Jerusalem Post, the Dutch Foreign Ministry is considering canceling the entire trip, as well as filling a formal complaint over the incident. 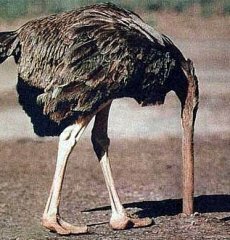 In the mean time, the journalists must be practicing the ostrich defense until the scandal blows over. But speaking about Babelfish, we did a little test of our own, dedicated to the blunderers of the day. The message "i will never use online translations again" became "je n’emploierai encore jamais des traductions en ligne" in French and, when, turned right back into English, returned "I will never yet n’emploierai translations on line". Not as impressive as the examples above, true, but clear enough that such a translation is by no mean good enough to back diplomatic business.